See you at the Herb Healy! 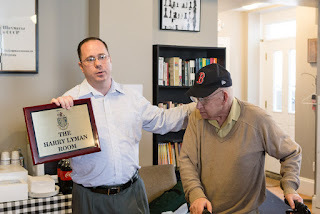 Jacob Rasin, Dec 2016, photo: Tony Cortizas Jr.
Larry Christiansen, Dec 2016, photo: Tony Cortizas Jr. It's a great way to start the 2017 chess year. 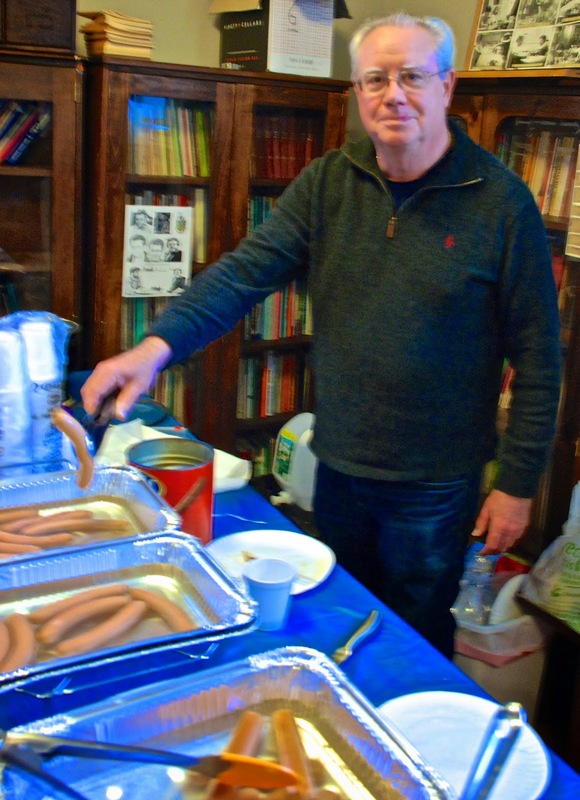 and read his report in the BCF blog. Andrew Hoy (BCF president 2015-2017) and Carey Theil (BCF president 2013-2015) will likely be there. By nearly any measure imaginable, 2016 was the most successful year for tournament attendance for the Boylston Chess Club. We had more players, stronger players, and more completed games than any year in our history. In the last year, 354 different players played in at least one tournament. These 354 individuals comprised 36 Masters, 41 Experts, 72 Class A players, and 65 Class B players. In terms of rating, players at the club had a net gain of 6466 points. 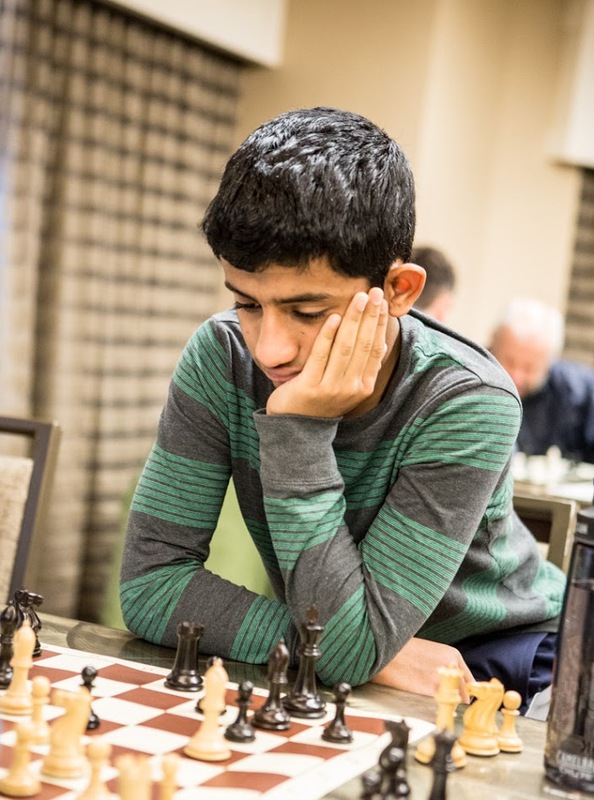 43 different players gained at least 100 points through the year, and 24 players had incredible tournaments where they gained more than 100 points in a single tournament! As a group, the weekly Saturday tournaments are the single largest offering from the club. 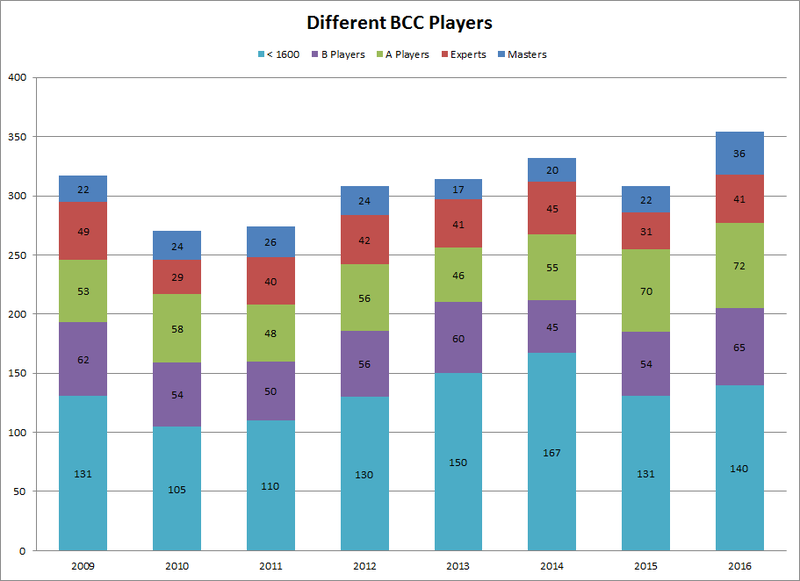 In 2016, a total of 1399 players competed in 51 Saturday tournaments, a 20.5% increase from the 1161 players in 2015. We averaged 27.43 players on each Saturday, and these tournaments featured 191 Experts and 124 Masters. The 315 total players rated at least 2000 represent the largest such number in the club's venerable history. It's also interesting to examine the attendance at the TNS and the Quads. Since these events happen nearly monthly, they're a great barometer for the club's overall health. 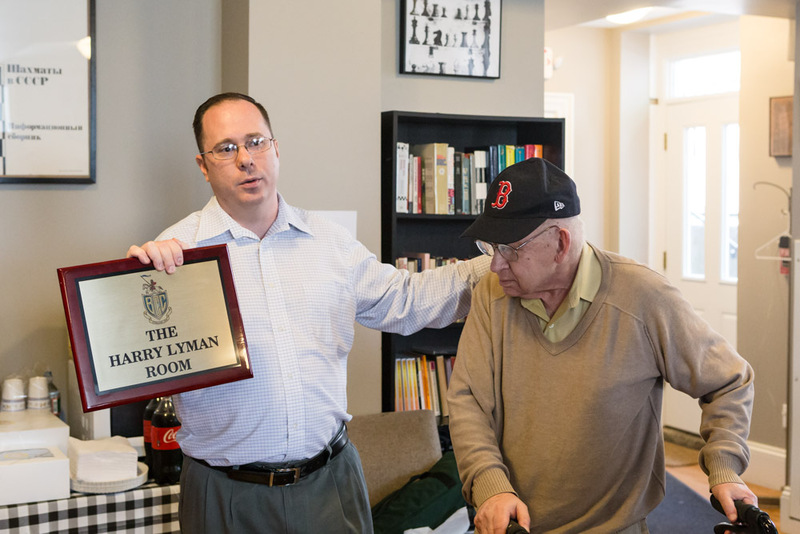 The Quads had their highest attendance since the club started hosting quad events on a regular basis in 1995. An average of 24.09 players per event (265 total players in 2016) was a 23.3% increase from 19.55 average players in 2015. While the club has had single years approaching the 24.09 average attendance (for example, 22 average players in 2012), 2016 was the first year with a consistently high attendance throughout the entire year. The Thursday Night Swiss was also consistently strong. 22.27 average players per month continues the trend started in 2015 of stronger TNS events with more players. In 2015, we averaged 23.75 players per month, a clear increase from 21 players in each of 2012, 2013, and 2014. 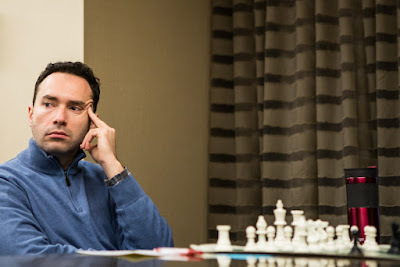 While it is possible that 2016 represents a regression to the mean, it seems more likely that players are settling in to the higher under section rating limit. The average median rating of the TNS in the last year was 1802. This continues the trend of the TNS getting markedly stronger over the last 5 years. For more details and more specific numbers, see our blog post from April. The last two major types of tournaments are scholastic tournaments and one-night action tournaments. In 2016, we hosted 7 one-night tournaments. 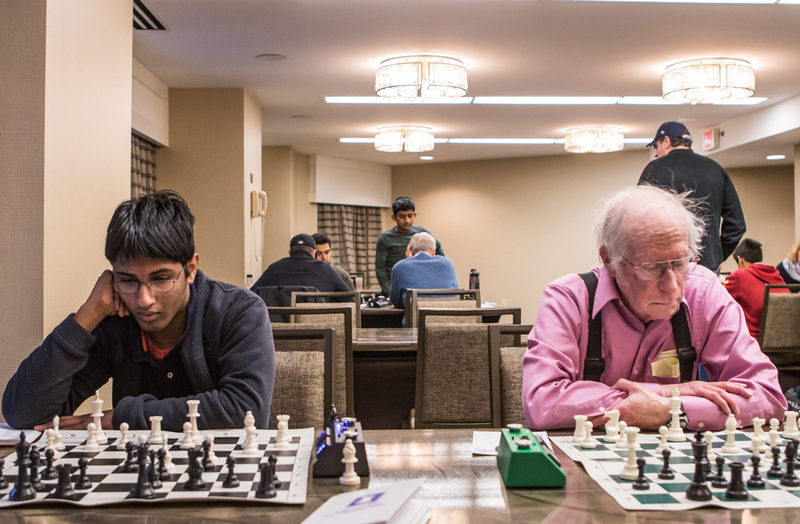 The club has not hosted rated one-night tournaments with any sort of regularity since 2013, so it is hard to see a direct increase in attendance. However, in 7 tournaments, we had 66 players compete. This 9.43 average tournament size is 26.9% increase from the 7.43 average player number from 2013. Interestingly enough, 39.4% of all of the players in these one-night tournaments were rated over 2200. As a group, these one-night action tournaments are the strongest tournaments offered at the club. If you would like to challenge yourself in the coming year, consider attending one of our Friday Night Action tournaments! 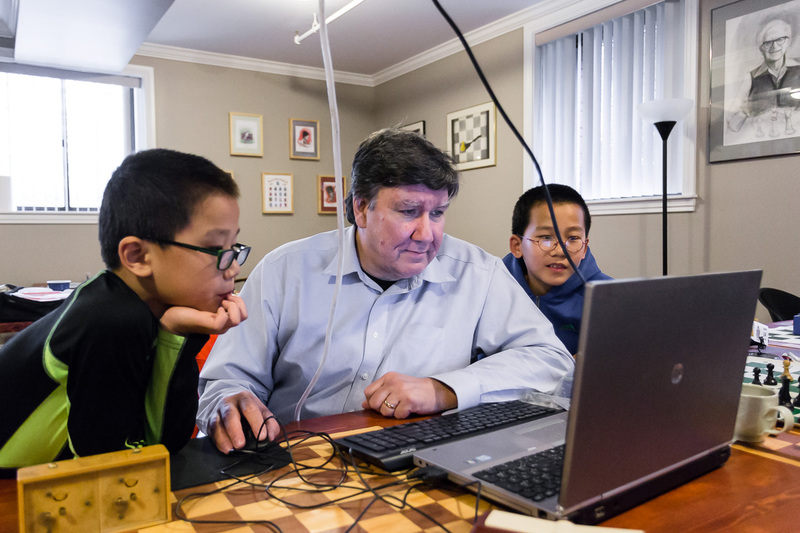 The scholastic program took a bit of a hiatus in 2015, but it was back with a vengeance in 2016. 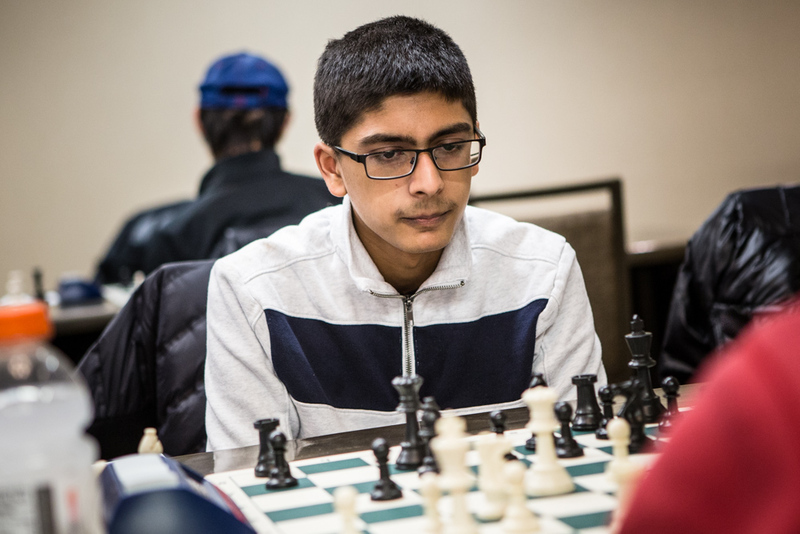 73 players competed in 7 scholastic tournaments, mostly held on Sunday mornings. 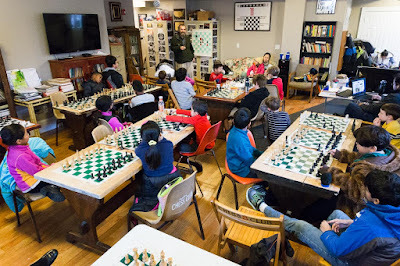 An average of 10.43 players (and the fact that scholastic trophies are cheaper than cash prizes) made these tournaments one of the most profitable endeavors for the club, and these tournaments allow the club to continue to provide high quality instruction in clinic settings for students of all ages and playing strengths. 2016 was clearly an incredibly successful year for the club, and as it draws to a close, we hope that you join us once again in 2017. 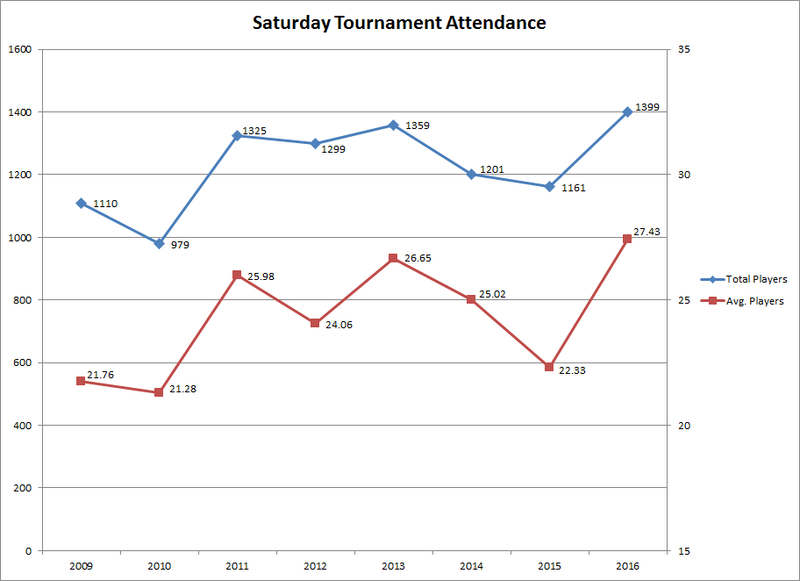 Hopefully the coming year continues the trend of stronger tournaments with higher and higher attendance. If you don't already have plans for New Year's Day, come play and eat at our annual Herb Healy Tournament. The Herb Healy is a great chance to catch up with old friends and shake off the chess rust that builds up over Christmas - not to mention all of the food that will be served! Merry Christmas and Happy Holidays to you and your families, and thank you for making 2016 such a wonderful year! 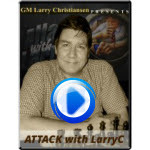 Attacking Chess with Larry C.
Get ready for attacking chess! 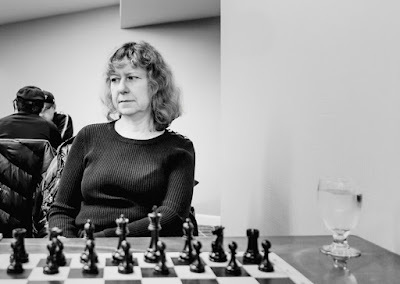 In this fabulous new series, we’ve amassed a fantastic compilation of game analysis into a super course on attacking chess. The course is presented to you by a legend of US Chess, GM Larry Christiansen. This course is over 400 videos and 180 hours! Watch a video a day! We’ve laid out a simple but effective study plan for you, divided into twelve months, with one video for each day of the month for the entire year, plus bonus content! 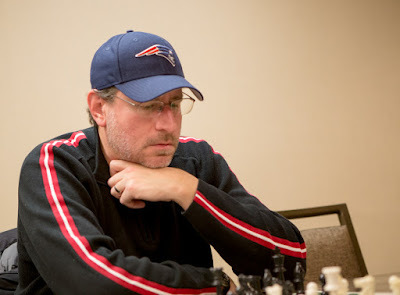 Larry is a three-times US Chess Champion, has played in several chess Olympiads representing the United States team, and is a highly respected chess trainer. Over the years, he has searched far and wide for the best games that embody his own renowned attacking style of play. 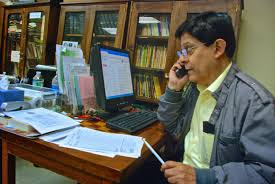 In doing so, he’s amassed a collection of over 400 videos and 180 hours of footage of the world’s best attacking games. We’ve laid out a simple but effective study plan for you: this mega course is divided into twelve months, with one video for each day of the month, each one labeled in appropriate order, so you know which video to watch each day. 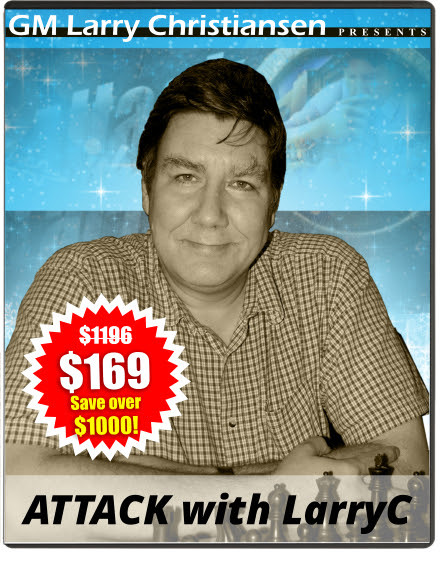 Thus, over the course of a year, you’ll have Larry cover instructional attacking games one day at a time, showing you the fine art of attack, letting you assimilate each day how a Grandmaster thinks, calculates and carries out a successful attack. Over time this will provide you invaluable insights and turn you into a stronger, more confident player. Don't delay! This offer ends December 25th, 2016 11:59 PM Eastern Standard Time. NM Andrew Hoy vs Kevin Liu, Round 2. Andrew scored an undefeated 3.5/4 for clear 1st place. Kevin was even on the day with 2/4 and a +26 Rating to 1528. Statistics Professor, Harvard University, Round 2: draw! 2-4th place with Robert Sullivan. 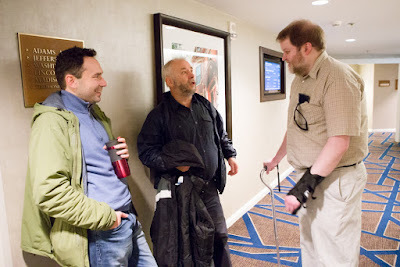 Bob Sullivan vs Edward Foye, Round 2. 2-4th with John Archibald and Dr. Pillai. Boris Raitzin vs Alan Lu, Round 2. Kevin's father to a friendly and quiet game. 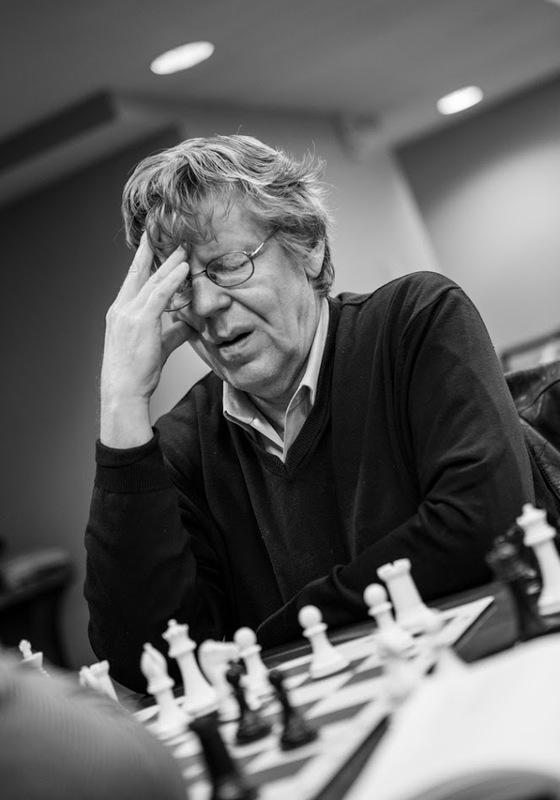 father's opening play, during Round 2. 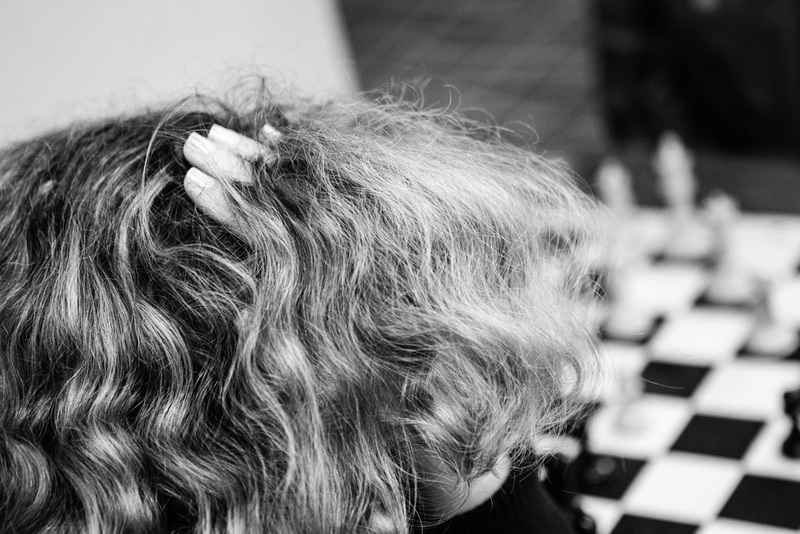 Parents playing chess: always encouraged! 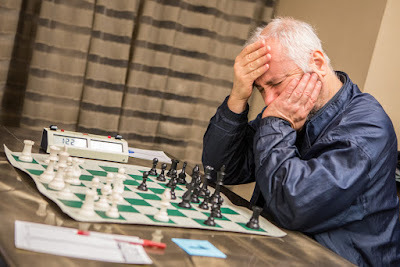 Bob Oresick defends with black vs Steve Stepak, Round 2. Photo gallery from this weekend’s Back Bay Open. 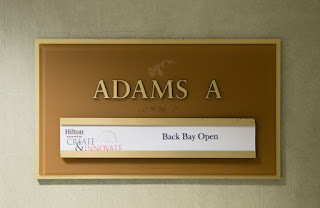 The Boylston Year End Open on Saturday was sparsely attended; many Boylston regulars played at Alex Relyea's Back Bay Open at the Hilton. 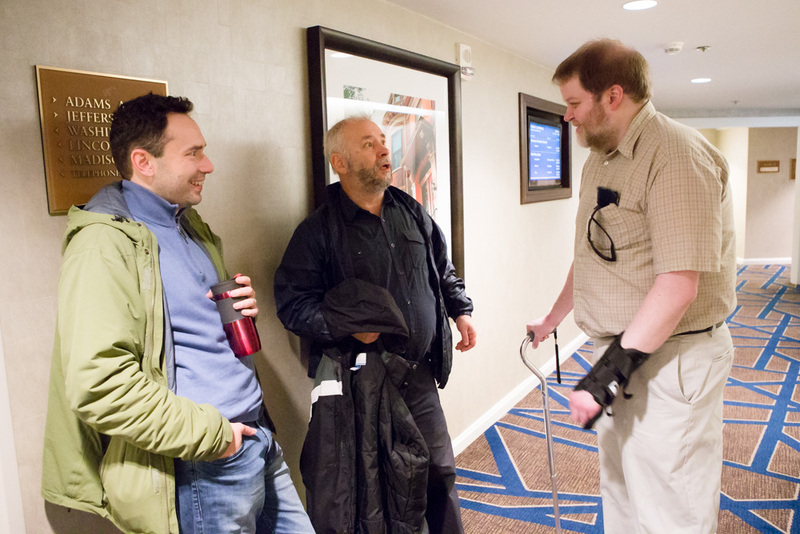 GMs Eugene Perelshteyn, Alexander Ivanov, Alex Relyea. Back Bay Open 2016. 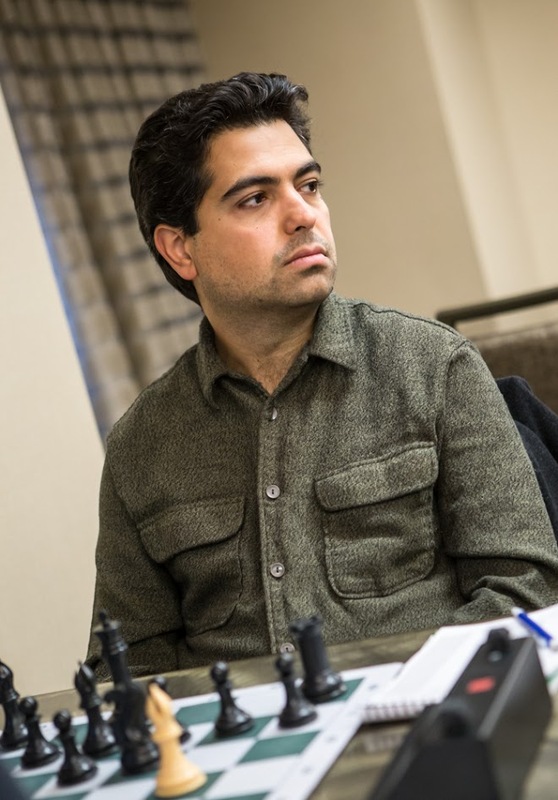 GM Eugene Perelshteyn. Back Bay Open 2016. 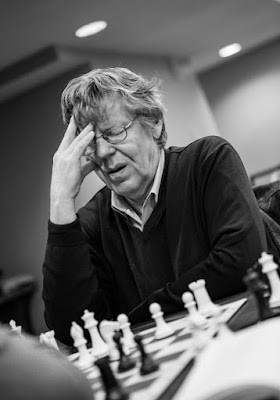 GM Alexander Ivanov. Back Bay Open 2016. 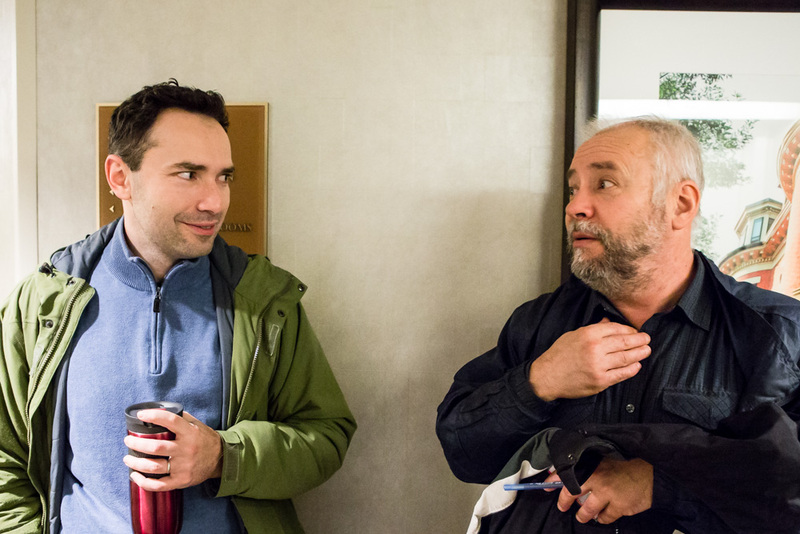 GMs Eugene Perelshteyn, Alexander Ivanov. Back Bay Open 2016. David Vigorito. Back Bay Open 2016. 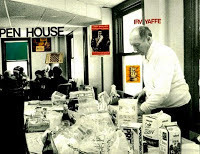 Hal Terrie. Back Bay Open 2016. Nithin Kavi. Back Bay Open 2016. Timothy Sage. Back Bay Open 2016. Natasha Christiansen. Back Bay Open 2016. Alan Song. Back Bay Open 2016. Suraj Ramanathan. Back Bay Open 2016. Tom Sifter. Back Bay Open 2016. 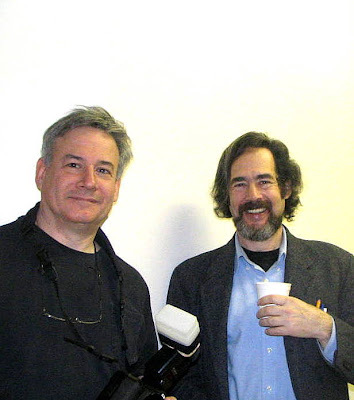 Zubin Baliga, Stephen Brudno. Back Bay Open 2016. Farzad Abdi. 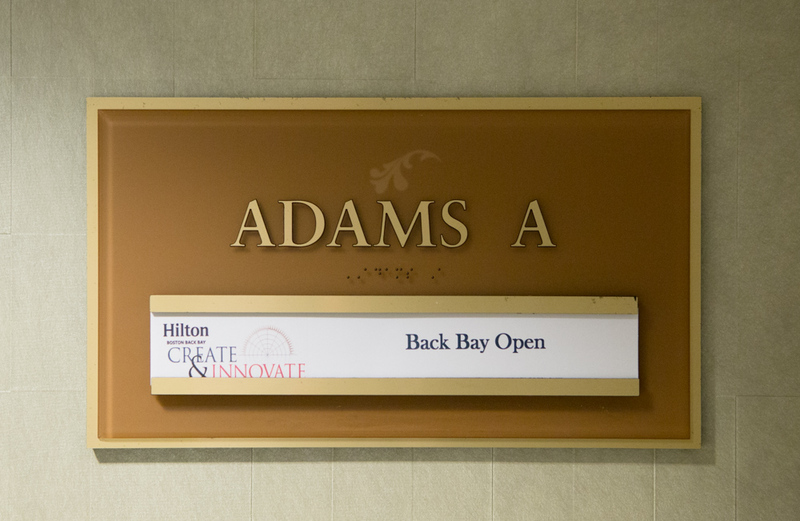 Back Bay Open 2016. Expert Alan Song vs IM Denys Shmelov, Round 2. Did Alan have a draw in the game? Denys scored a perfect 4-0 to take clear 1st place! opponent right down to the last minute. Jerry Li vs Suraj Ramanathan, Round 3: 0-1! Jerry scored 3 points to take clear 2nd place. 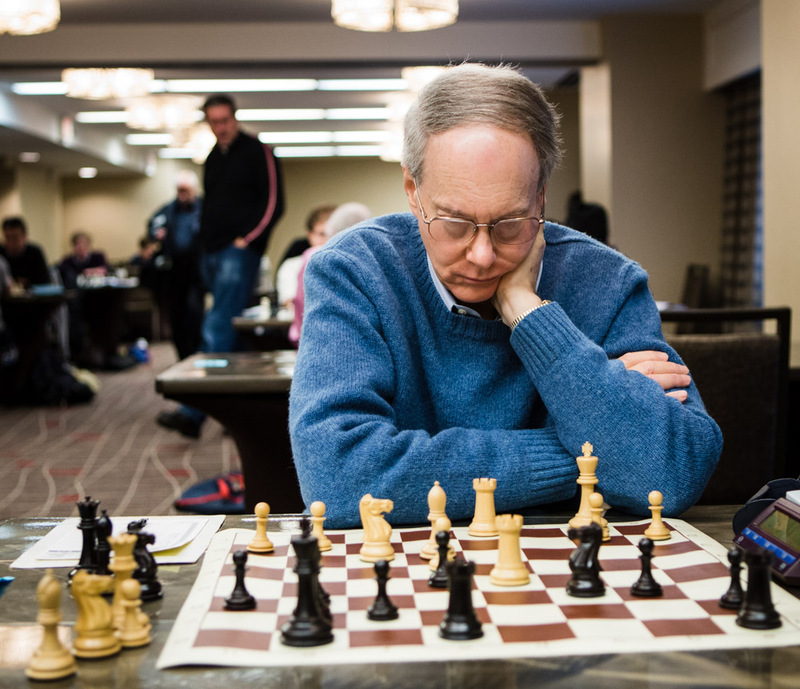 Bob Oresick vs Jason Xiong Round 2: draw! Bob and Jason shared 1-3rd place with Joaquin Carlson. 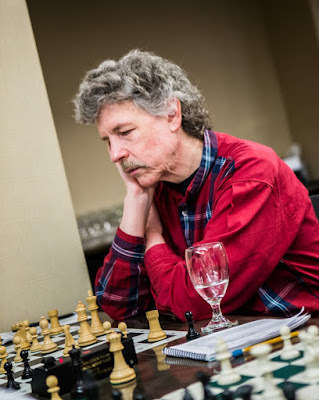 Joaquin Carlson, black vs David Martin R 2: draw! Robert Oresick and Jason Xiang! Bravo, Joaquin! Brandon Wu vs Chen, Round 2. 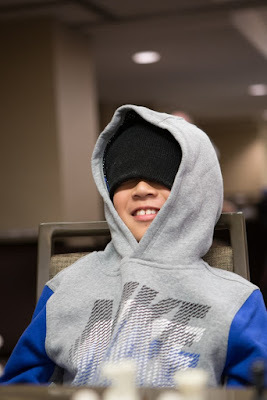 9 yr old Derek Jin, black vs Mark Fins, Round 3.
totaled 2.5 points for a + 28 to 1898 rating! Eddie Wei, black vs John Archibald, Round 3. Pillsbury Memorial photos by Tony Cortizas, Jr.